Update: Shiny and Kinda New-ish! You know what? Stranded on Earth has been an actual comic thing for more than 3 years now! I don’t know about you, but that’s a good occasion for an update! Basically, I changed the colors and made the ‘One-Off’ and ‘SoE: The Story’ page galleries bigger and clearer so that you can browse my comics more easily and enjoyably (hopefully)! I’m still a newbie at this whole social media/website design/self-promotion thing, so bear in mind that strandedonearthcomic.com will definitely undergo future changes. In the meantime, please peruse at your leisure. New comics to come soon! Oh, and most importantly, thanks for sticking with SoE all this time. Happiest of holidays to you, dear readers! I’m very thankful that Stranded on Earth is still going after a year and a half, and that it’s beginning to reach more of you! Of course, I want to keep the momentum going throughout next year, but keeping content consistently fresh is pretty hard when you’re learning how to webcomic, working on a commission, and holding down a full-time job in a foreign country at the same time. That’s why I haven’t been posting so frequently lately. I hate to let my weekly deadline go by, but it takes time to reach that professional level of consistency that we’re used to seeing from our favorite comic artists. I will get there, oh yes, I will get there, for there is ever so much more to tell about our poor little stranded alien friend, Oswag, and his family. Every once in a while though, I simply need a hiatus to recharge, regroup, and bang out a backlog of good comics that move the story forward. So that’s what I’m gonna do! Stranded on Earth will triumphantly resume next year, and I’ll poke you all on Facebook when it does. Support an artist whose work you enjoy, and you support Art for us all. Well, it’s happened. Quietly, not unlike any other evening, but it has happened. We have reached the one-year mark of Stranded on Earth’s (SoE) existence! You know what? That’s pretty darn awesome. Yes, there were a few months I missed due to stuff and things…mainly August, then a hiatus from November to April, so that’s…ffffive months out of twelve in which I posted nothing at all, BUT AS A WEBCOMIC, Stranded on Earth has existed online for one year. My first post was June 16th, 2014 and now, as of June 17th, 2015, I have posted 30 comics (a small crowd cheers faintly in the distance)! That is a small milestone for me, as in the beginning, I told myself, quite arbitrarily, that I would truly start promoting the webcomic on all available forms of social media when I had solidly posted 30 halfway decent comics. Up to now, I’ve only been using Facebook, mostly because my family and friends are the ones with whom I feel safe sharing the website. Well, now that I’ve made my ‘quota’, it’s time to start gearing up for the next step, Tumblring and Twittering my way to greater visibility and a wider audience. Am I terrified of that? I believe this week’s comic will answer that question succinctly. In the meantime, while SoE is relatively safe in its cocoon of obscurity, I’m going to celebrate my first anniversary with a cookie and some Bloom County. Nit-picky Nerd-Talk: Biliverdin or Bilirubin? For you biology sticklers out there, I tried to imply a natural explanation for the toxicity of Oswag’s green blood by focusing on the bilirubin it contains, though I’m aware that the chemical biliverdin is what would give his blood its verdant hue (this isn’t the only way for certain animals to have green blood, but it’s the way I chose for Oswag*). 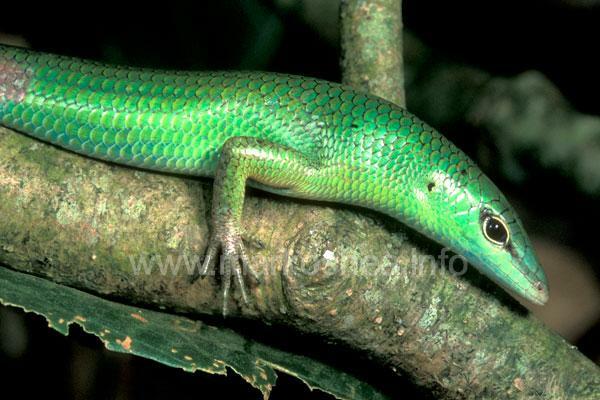 After only cursory research, I admit, I came to understand that biliverdin is “a pigment excreted in bile” that results from the decay of hemoglobin, and it is also the same pigment that gives certain skinks (Prasinohaema virdens) their green colored blood. Biliverdin then typically breaks down into bilirubin, which is the more toxic stuff, especially in excessive amounts. For example, jaundice is a condition caused by build-up of biliverdin and bilirubin. Normally, your liver would filter them out, but if not, their accumulation would contaminate your blood, and I imagine that wouldn’t feel very nice at all. Isn’t science NEAT, folks?? But the question remains, could you actually get sick by coming into contact with Oswag’s green blood?? No, of course not. Oswag is an imaginary character. Whoa, has it been a while or what? That’s what happens when a budding webcomic artist, who teaches full-time, doesn’t have at least a month’s backlog of content to post – radio silence for five months! Trying to come up with brand new content each week, then penciling, inking, editing and posting it consistently was simply unsustainable under those circumstances; and with the end of the semester looming, that meant crunch-time at the ol’ day job as well. The mounting stress, lack of decent sleep – it was a prime recipe for writer’s block. Now that I’ve had some rest, a good trip to New Zealand, and lots of time to build up the comic again, I’m ready to resume posting regularly! Thank you for sticking with me thus far and being so patient, my friends. I can’t promise that writer’s block won’t happen again; indeed, it loves to strike at moments when I’m pressed for time. That’s why I’m taking a little deadline pressure off myself by saying that I will be updating weekly. Which day of the week, you ask? Well, not knowing is part of the fun! I hope you will have some patience and understanding with me as I learn the ropes of content creating. Getting a creative routine down, developing a web persona, finding and connecting to my audience, and simply working consistently to make my comic better are just a few of the goals I’m striving to reach this year. With your kind attention and constructive feedback, I know I can turn this humble comic into a gem that abides…like the Dude. And with that, I give you once again the adventures of our dear, hapless Oswag, trapped on Earth (stranded, if you will) with his unlikely guides, John Bugeye and Joe Mosquito. And all the while, Oswag’s family: wife Shemmah, daughter Sleezla, and young son, Bozak, are left on Planet Larsonia, coping with Dad’s freak desertion. Can Oswag ever get home? Will he adapt to human society in America? How will his family get on with their lives?? THE QUESTIONS!! Keep reading for answers…and the occasional chuckle, I hope. “Poopnuts” attributed to the comic genius of the Birnholz Clan.